(Beyond Pesticides, March 15, 2018) On Tuesday, a group of 56 scientists studying the effects of neonicotinoids sent a letter to California’s Department of Pesticide Regulation (CDPR) highlighting the threat neonicotinoids pose to the health of California’s waterways. 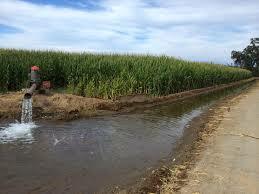 The scientists urge CDPR to take steps to reduce neonicotinoid contamination of the state’s streams and rivers. This comes as neonicotinoids were recently reported to be pervasive throughout the Great Lakes, and federal assessments confirm high risks to aquatic species. According to the letter, neonicotinoids are already found in California waterways at levels that exceed the freshwater invertebrate aquatic life benchmarks and could harm or kill many sensitive aquatic invertebrate species. Citing a 2016 study by the Xerces Society that found imidacloprid frequently in California’s rivers and streams at levels harmful to species such as mayflies and caddisflies. Imidacloprid samples in California from 2010-2015 showed that 42% (197 of 468) of detections exceeded the acute invertebrate benchmark and all of the detections exceeded the chronic invertebrate benchmark. In certain regions of the state, particularly agricultural areas, the imidacloprid benchmark for acute effects was more frequently exceeded. Accordingly, the scientists request CDPR consider actions to limit imidacloprid contamination and assess the risks the other neonicotinoids may pose in the state. Earlier this year, new data from the U.S. Geological Survey (USGS) reveals the year-round presence of neonicotinoids in the Great Lakes – the world’s largest freshwater ecosystem. The study, Year-round presence of neonicotinoid insecticides in tributaries to the Great Lakes, USA, sampled ten major tributaries to the Great Lakes from October 2015 to September 2016. Neonicotinoids were detected in every month sampled. At least one neonicotinoid was detected in 74 percent of the samples, with 10 percent of samples containing three neonicotinoids. The most frequently detected neonicotinoid was imidacloprid (53%), followed by clothianidin (44%), thiamethoxam (22%), acetamiprid (2%), and dinotefuran (1%). The U.S. Environmental Protection Agency (EPA) released preliminary ecological (non-pollinator) assessments for the neonicotinoids clothianidin, thiamethoxam, dinotefuran and the terrestrial ecological assessment for imidacloprid earlier this year, finding that these pesticides pose both acute and chronic risks to aquatic life and birds. The aquatic assessment for imidacloprid, also released last year, finds that it threatens the health of U.S. waterways with significant risks to aquatic insects and cascading effects on aquatic food webs. Neonics are detected regularly in the nation’s waterways at concentrations that exceed acute and chronic toxicity values for sensitive organisms. As a result of risks to aquatic organisms, the Canadian pesticide regulatory agency has recommended banning imidacloprid, a decision that has been delayed. In Europe, a recent survey finds that streams across the United Kingdom (UK) are contaminated with neonicotinoids. The Beyond Pesticides report Poisoned Waterways documents the persistence of neonicotinoids in U.S. waterbodies and the danger they cause to aquatic organisms, resulting in complex cascading impacts on the aquatic food web. The report also highlights current regulatory failures of EPA aquatic standards, which continue to underestimate risks to sensitive species, due to a reliance on test protocols that do not reflect real-world exposures or susceptibilities. Take Action: Tell EPA that neonicotinoids pose unacceptable risks to pollinators, aquatic life, and birds! And, ask your Congressional delegation push EPA to stop the use of neonicotinoids. This entry was posted on Thursday, March 15th, 2018 at 1:10 am	and is filed under Aquatic Organisms, Biodiversity, California, contamination, Imidacloprid, neonicotinoids, Pesticide Regulation, Water. You can follow any responses to this entry through the RSS 2.0 feed. You can skip to the end and leave a response. Pinging is currently not allowed.